Apexer: This was a indoor mural painted for a show in San Francisco in 2013. It was a secret little piece that I really liked and not that many people got to see. I really enjoyed painting this one with all of the different patterns inside the fillin’ as well, I enjoyed the shape of the piece, thus the name of the print run. So the original is not for sale, however, I do have original artwork for sale that are available from White Walls gallery here in San Francisco. 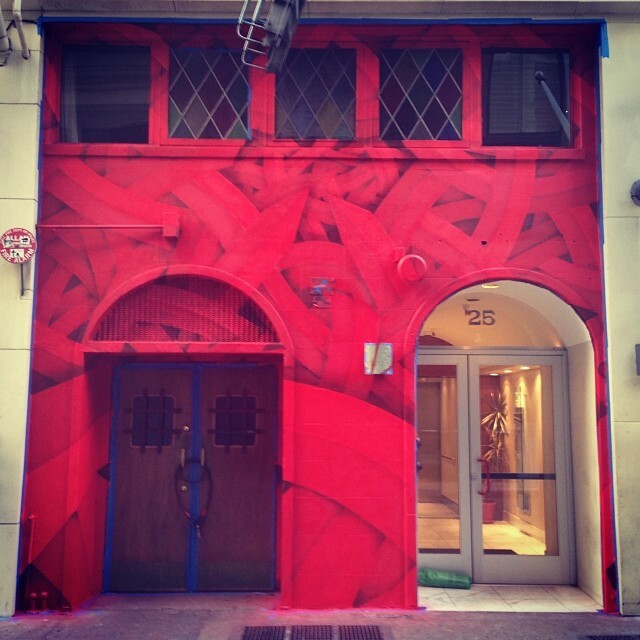 Apexer: The mural was painted created over 2 days in February 2013 using spray paint and latex paint. 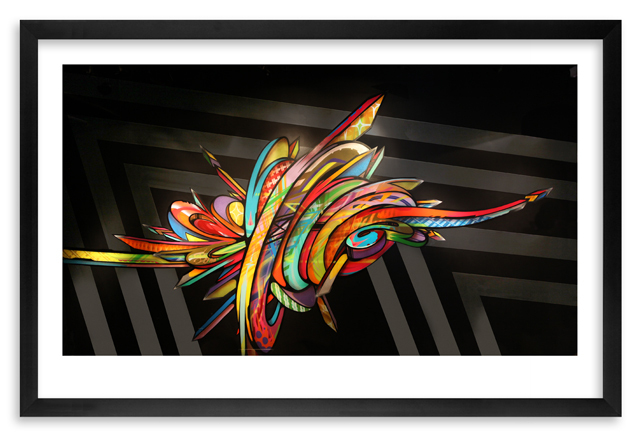 Apexer: It was created for a indoor space so it was interesting to make a street style piece for an indoor space. That made for a unique approach to what colors I choose and how people would feel in a indoor environment. Apexer: It is my first print run ever. 1xRun: Describe the piece in one gut reaction word. 1xRun: This will be your second year joining the Pow Wow Hawaii family, who are some of the artists you’re really excited to see painting out there? Apexer: Everyone, it is always good to see artist from around the world paint. Different energies and mind states only help you grow as an artist. Always take it all in. 1xRun: This will be your second time heading back to Hawaii, what are you most looking forward to this year? Apexer: Painting in the sun and relaxing on the beach. 1xRun: Do you have any plans for your wall out there or are you just going to improvise it when you get there? Apexer: I have some ideas for the wall but I haven’t flushed them out yet. Ill probably work out some more ideas when im on the plane to Hawaii. 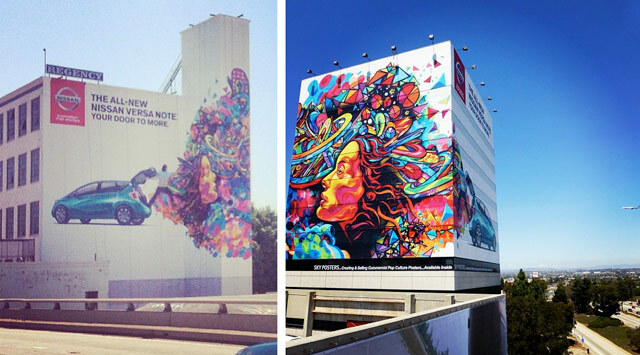 1xRun: You’ve been staying crazy busy per usual, bring us up to speed on some of the walls you’ve been doing lately? Apexer: I have been painting for different companies and projects and sneaking in my own little things. 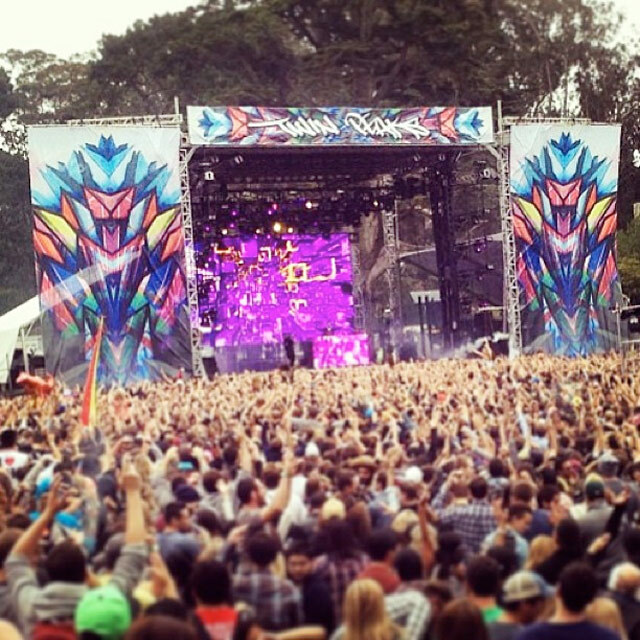 The Nissan wall and billboards hit this year, a Spotify mural, a big mural in San Francisco from self and I had designed was used for the EDC stage for Outside Lands Music Festival. 1xRun: How did 2013 wrap up for you? Apexer: 2013 was amazing and I’m in full swing for 2014. My name is Apex, I’m always looking forward and wanting to experience new challenges to move the culture forward and self. 1xRun: Aside from Pow Wow 2014, what are your plans for the new year? Apexer: A big mural in Palm Springs and having a bigger presence in Southern California. I want to paint as many murals as possible this year. I need to stretch out those mural muscles.